The interface of OS X is easy to understand. The mouse, keyboard, and all the basics of the OS X environment are very user-friendly. Note that if your mouse hovers over an item, command or button, you’ll see a small label pop up to tell you a little bit more about what you are about to click! Whenever an application needs your input, it will display a Dialog Box. If you see a button highlighted in blue, it means that the button can be activated either by clicking or hitting the Enter key. As a rule, you can activate a button by holding down the command key while hitting the first letter of the word displayed on the button.. Finder doesn’t look like application, but it is one. However, it is inseparable from OS X as a whole. This application allows you to find files and organize them into folders. You can copy and delete them, launch applications, switch between tasks, connect to servers and more. Finder is complete with menus, preferences, and an icon showing the Mac smiley face, which is welded to the Dock. But unlike most other applications, Finder doesn’t feature a “quit” option. Nevertheless, if the Finder app ever freezes up or misbehaves in any other way, you can always relaunch it. Home Folder is the place where all the documents are stored on your Mac running OS X. All the files, including those needed to make your computer work, are stored there. If a Mac has multiple user accounts, each account will have its own Home Folder. All of them can be found in Macintosh HD – Users. Applications, or apps for short, are programs that users can use to do anything from writing texts to playing games, or finding a place to sell their old devices. An app can live anywhere in the system. Usually they are concentrated in the Application folder. When you delete an unnecessary file, it goes to the Trash. This is where it stays until the Trash is emptied. To empty the Trash, choose the Empty Trash option from the Finder menu. You can also click and hold the Trash icon on the Dock, or use a combination of the command and delete keys. When you empty the Trash, its icon changes to let you know at a glance that it’s empty. Don’t forget that even when you empty the Trash, the file remains on the drive and can be potentially recovered. To delete the Trash’s contents for good, select Secure Empty Trash from the Finder menu. A fun app, FunTrash, also exists to show you an animation as you trash files. If you connect an external hard drive, a virtual drive file, or a key drive to your computer, it will appear on the desktop and in the sidebar of any Finder window. It usually appears with a white disk drive icon, ready to be opened. You can then add, copy, and remove files, and perform other operations using that disk. As for CDs and DVDs, they also appear on the desktop and in sidebars when inserted. If their color is blank, you can drag files onto them. If you want to write a disk, select it on a Finder sidebar and then press Burn. Important: Don’t just unplug an external drive if you’ve finished using it, as you may damage it permanently. Eject it by pressing the eject icon next to its name in the sidebar of any Finder window. Alternatively, you can drag the drive or disk to the Trash. It will morph into an eject icon the moment you start dragging. Apple ongoingly updates all of its products to add additional features, make them more stable, faster, and so on. Whenever connected, you can click on Software update in the Apple Menu to check for the latest updates. OS X will install all the updates for you. By default, OS X will automatically check for updates every few weeks. When you check for updates, you can choose which updates to install, and which updates to ignore. However, unless you have a specific reason not to (for example, your internet connection is very slow), install all the updates Apple offers. At the very least, you should install everything related to security. Indeed, with regard to online threats of any kind, updating your system is much more important than installing third-party antivirus software. Software Update has its own panel in System Preferences. You can go there and choose the option to stop OS X from checking for updates automatically. There you can see what updates have already been installed, and make other changes..
Mac OS X comes with a useful Help tool. If you want to know something, or if you get stuck, you can always select Mac Help in the Finders Help Menu. Alternatively, you can use the shortcut Command+Shift+/. To switch off the computer, select Shut Down from the Apple menu. You can just leave it on, and in a few minutes the Mac will go into a low-energy Sleep mode. In this case it can be quickly awoken when you need it. Shutting the lid will have the same effect, and you’ll be able to carry it around in Sleep mode. 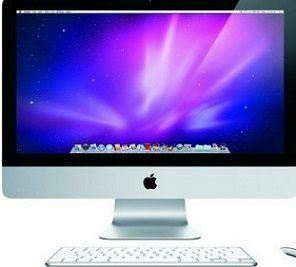 When various users have set up their accounts on the same Mac, it’s possible to use Log Out option from the Apple menu to return to the screen, where the next user can log in to work on that Mac. Besides OS X is equipped with good and powerful power-management features. You’ll find them under the Energy Saver panel or System Preferences. You can schedule your Mac to switch on and off at the same time each day. You can also set how long the computer should wait before entering Sleep Mode. You can alter there the setting for battery use on a laptop. The Apple Menu is always displayed, no matter which application you are using. The Apple Menu has Log Out and Shut Down options, System Preferences, access to Dock, software updates, and more. For example, to find out about your computer’s hardware, click About This Mac in the Apple Menu to learn about its basic specs. Then, you can hit More Info for the full version. You can also customize the Apple Menu. This is the place for storing files currently in use, and other documents. The desktop is also located in a Desktop folder within your Home folder. You can customize the desktop to your preferences.. When you double-click a folder, you reveal the content in one of the Finder Windows. You can also customize them.. The Dock is home for quick links to applications, stacks, folders, minimized windows, and the trash. Users can also use the Dock to switch between open applications. You’ll find more about the dock, on this page: The Dock. This is the default name for your Mac hard drive. In the family tree of folders, this folder is at the top..
System Preferences is the home of scores and settings. This pane can be accessed through the Apple Menu or clicking on the Cog Icon on the Dock. Some items can be marked with a grey color in the System Preferences pane. This means that you can’t access that item. To view details about any file or folder, select it and hit ᴂ I. The panel will open. You can use these elements to change apps which open a file or for changing icons. Important tip: Simple Finder is a relatively new and feature-stripped version of OS X, which you can use if you are really confused about your Mac. This version uses bigger icons and simplified versions of the menus and more. : How to Customize Your Mac. Apple electronic devices are perfectly balanced system in and out. Still, if you look for new models, we at iGotOffer will be glad to take in your used models and help you save for the new device.